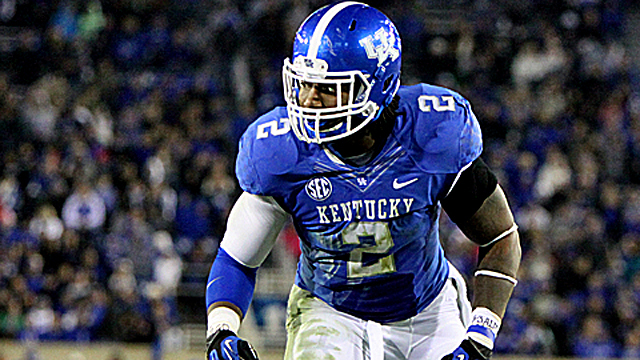 Bud Dupree was a great contributor for the Kentucky Wildcats defense totaling 7.5 sacks last year. One of Dupree’s best attributes is his great first step quickness. He is a freak athlete and shows the ability to bend around the corner. He also shows good strength and holds up well in the run game. Pme area of weakness for Dupree is that he lacks a wide variety of pass rush moves and at times his motor runs hot and cold. However, Bud Dupree is known as a high character guy and has the work ethic and traits to develop into a great starting outside linebacker in a 3-4.